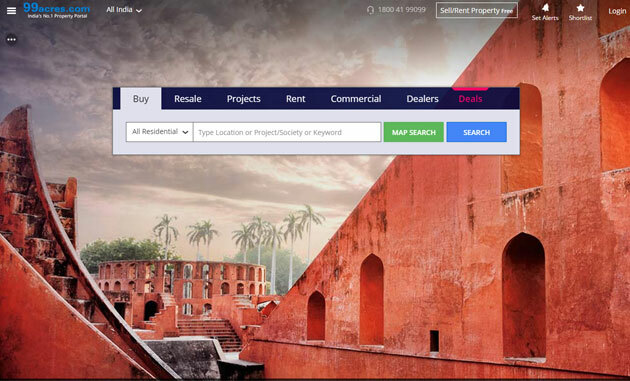 Info Edge (India) Ltd, the most valued of the handful of public listed internet ventures that operates a string of sites on its own besides owning a stake in several others, is particularly bullish on its property search site 99acres.com. So much so that last year it raised Rs 750 crore through a qualified institutional placement largely to bankroll the expansion of 99acres. 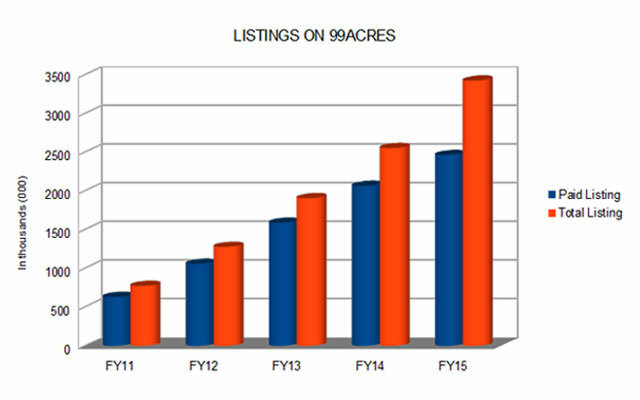 Indeed, 99acres has been its fastest growing business. Even as recruitment solutions unit (Naukri.com, Quadrangle and other units that generate bulk of its overall revenues) and matrimonial site Jeevansathi.com have not even doubled their size between FY11 and FY15, 99acres has grown almost five times in the same period. Last year too, the vertical churned out a respectable growth but with competition in the online property search business accentuated by new rivals and legacy players like MagicBricks, strain has been showing up. Net revenue growth, which has been sliding slowly over the previous three years but remained around the 50 per cent mark, saw a sharp deceleration to 32 per cent last year. It hit a milestone of crossing Rs 100 crore in net sales, though. The competition is also showing up in the bottom-line with operating EBITDA loss rising almost eight times last year. 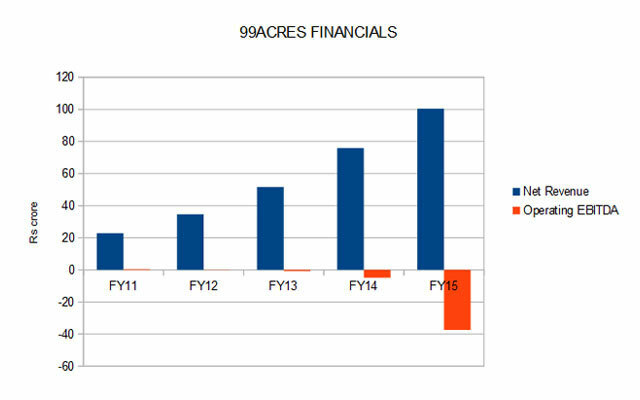 While losses are not unusual in a fast growing internet segment, notably, 99acres was generating marginal profits till FY12. 99acres competes with MagicBricks, IndiaProperty, Housing, CommonFloor and PropTiger among others. PropTiger is backed by global news and digital media company News Corp. In March, News Corp acquired the parent of this news website. Meanwhile, 99acres' growth in paid listings on its site mirrored the performance on its net sales (the company also generates revenue from other channels). It lost one-third of growth momentum last year with paid listings rising 19.2 per cent to 2.46 million against a growth rate of 30 per cent the previous year and a still faster rise in the years before that. Total listings in the same period, however, retained 34 per cent growth rate, the same as FY14. In sync with this, the quantum of free listings on the site has shot up from 21 per cent to 28 per cent last year.